Real Estate is what I do. Period. This is reflected in my service, my availability, my reliability, and my product. With my technical background, I am able to provide the services, such as this website and others, that actively find buyers and sellers, and provide each with the best selection to suit their needs. Whether you're a seasoned home buyer or a first timer, I will tailor my approach to accomodate you! Knowing the the day-to-day rigors of raising a family. It is with this knowledge that I appreciate the importance of taking care of all the small details, and have adopted an "Every Step of the Way" philosophy. In fact, it has kind of become my mantra, and is measurable by both testimonials and referrals from my clients. Bonnie, a Long Service Award, and Diamond Award, and most recently the coveted "Award of Excellence" recipient, also hails from the area and takes great pride in a job well done. 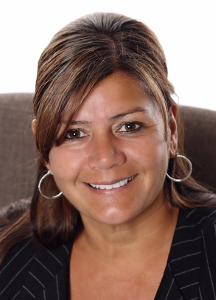 Always a consumate professional, Bonnie offers fantastic negotiating skills, mixed with an eye for detail! Proud to call herself a Realtor and looks forward to every day and the challenges they bring. Please feel free to contact me. It is my sincere desire to make your home buying or selling experience the best possible, and have fun while we are at it! With me, your loyalty will be reciprocated ten-fold! As a matter of fact, about 85% of my clients are referred by my past ones! I look forward to working with you to sell your home or if you are looking for a new place to move to. I can help you out. Please click on these link to email us! I would LOVE to hear from you!